Cassia has always trusted the Society to make the right choices for her: what to read, what to watch, what to believe. So when Xander's face appears on-screen at her Matching ceremony, Cassia knows he is her ideal mate . . . until she sees Ky Markham's face flash for an instant before the screen fades to black. The Society tells her it's a glitch, a rare malfunction, and that she should focus on the happy life she's destined to lead with Xander. But Cassia can't stop thinking about Ky, and as they slowly fall in love, Cassia begins to doubt the Society's infallibility and is faced with an impossible choice: between Xander and Ky, between the only life she's known and a path that no one else has dared to follow. . 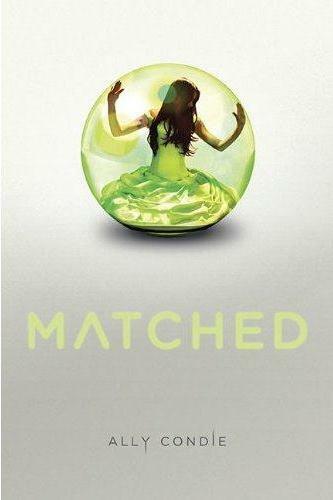 Matched is the first dystopian novel I read. Or at least the first I read in adulthood. And it was a brilliant start. In the society, officials decide. Who you love. Where you work. When you die. Now that I've found the way to fly, which direction should I go into the night? Matched is a story about 17-year old Cassia who lives in a society controlled by Officials. And when I say controlled I am not exaggerating. The Officials controls everything down to what citizens eat, whom they marry, what jobs they will have and more. A predictable life is an understatement. Cassia seemed to be at terms with what her life would entail . . . until the Match ceremony where her personalized microcard glitches. At first, the microcard told Cassia she is Matched with Xander Carrow, her best friend, and she couldn't be happier. But then insert *glitch* and on the screen a face comes up she recognized. Name of the Face: Ky Markham. And Ky is no ordinary guy, no, he an Aberration who isn't eligible to be Matched. To make matters worse, as the story unfolds Cassia begins to fall in love with Ky and her whole world begins unravelling at the seams . . .
On that note, the premise of Matched is what drew me in. I thought the premise was fantastic. Fantastic for one book. Although I own the two sequels in the trilogy I have not read them because the novelty of the dystopian world and Cassia's romance dilemma will not be as captivating as it was in Matched. 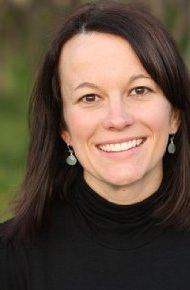 Ally Condie (www.allycondie.com) is a former high school English teacher who lives with her husband and three sons outside of Salt Lake City, Utah. She loves reading, running, eating, and listening to her husband play guitar. October 2015 : Upcoming Events!